You all know me, I am a make-up junkie and I love trying new looks. Not to mention, I love trying new things that I can pamper myself with. There, I said it. But, don’t we deserve that from time to time? Well, BeautyEncounter.com, you can find everything from fragrances, make-up, hair products and accessories, skin care, home decor and appliances. If you haven’t heard of BeautyEncounter.com, well, now’s the time! Beauty Encounter is the premier online cosmetics and fragrance retailer, offering the ultimate beauty products shopping experience. With over 40,000 items from over 1,100 brands, you will be sure to find your favorite cosmetics and discount perfumes, offered at affordable prices, while shopping at Beauty Encounter. What’s even better is that now is the best time to know about BeautyEncounter.com because they are having a pretty awesome giveaway that not only has your favorite fragrances for both men and women but, even if you don’t win, you can still find all types of discount fragrances on their site! Who Doesn’t Love Calvin Klein? To win, all contestants must be an existing subscriber and “Like” BeautyEncounter.com on Facebook. 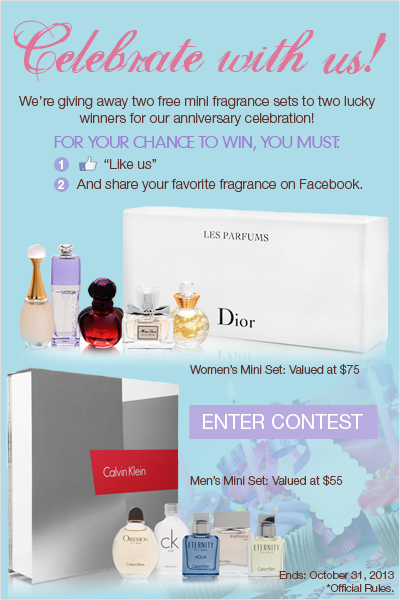 Also, subscribers can share their favorite perfume on Facebook. No purchase necessary to enter or win the contest. All entries must be between 12:01am PT on 10/01/2013 to 11:59pm PT on 10/31/2013. Winner notification will be announced on Facebook at 2:00pm PT on 11/01/2013. Winner will be contacted through Facebook. Entries must have a valid Facebook account to enter and win the contest. Cannot be redeemed for cash or exchanged. Hope you all go out and enter to win this, there’s nothing like your favorite scent but, nothing like having more than one! 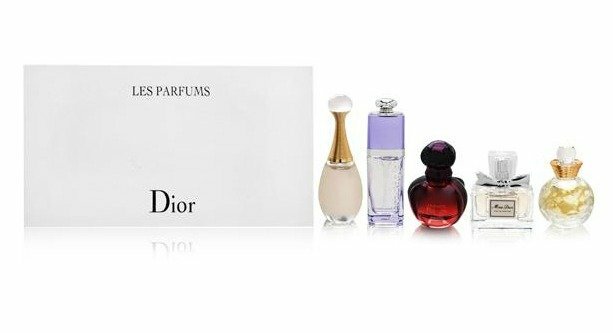 I think my favorite is the Dolce Vita from Dior but, you can’t really go wrong with Dior. Which fragrance would you most like to try?